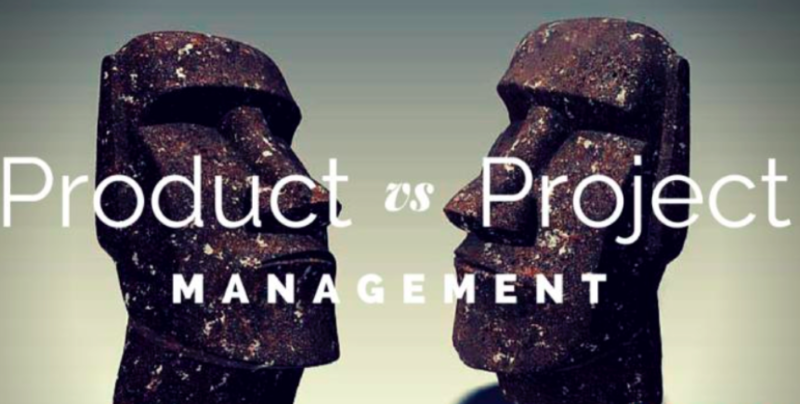 Blog > Product design >The Project Manager Vs. 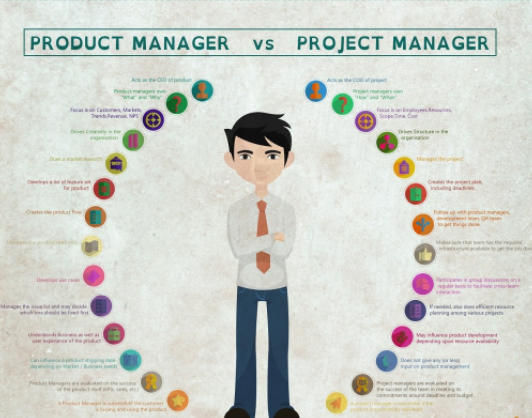 Product Manager - What Are the Differences & Relations? Before diving into more details, let's take a prior look at what is project management and product management in below. Products are anything that can be provided to the market, used and consumed by people, and of course can satisfy people's needs, including tangible goods, intangible services, organizations, ideas or a combination of these. Project management is the business activity of enterprise's living organization in the product life cycle, such as product plan, development, marketing, sales and support to manage the business activities. The product manager are mainly responsible for market research, user research and defining the products in accordance with the users' needs. They also consider the product's business model, operation and promotion approaches. Firstly, the project manager requires a technical background, and in the IT company, they have to be very experienced with the responsibility to convert the objectives into quantified and achieved project plan, giving emphasis on management and implementation. However, the product manager doesn't require technology knowledge but needs to be knowledgeable in the field. Nowadays in the recruitmentrequirements for product manager in IT industry, the employees should have relevant work experience, informative in the Internet products, proficient in product design process (function analysis, user role analysis, prototyping, interface development, user testing, etc), with the excellent ability to express, write documentations and skills in using prototype design tools, including Axure, Mockplus, Justinmind or Balsamiq. The actual development capability is not necessarily required. The product managers and project managers in fact work in a very close relationship, and it's hard to set them apart from each other. For instance, e product manager needs to collaborate with the project manager under the relevant progress to ensure the project can meet the final quality and quantity on time. In practice, the division of product manager and project manager is clear in the large-sized company; but the two positions are usually undertook by the same people in the small to medium-sized companies in order to save manpower and communication cost. Of course, neither the project manager or the product manager, they both should keep learning and make continuous progress in order to adapt to progress in job requirements and market. As all is known, only change never changes always the time. If you have thoughts to share with us on this topic, please comment below, thanks!